Remember that saying “don’t cry over spilled milk”? 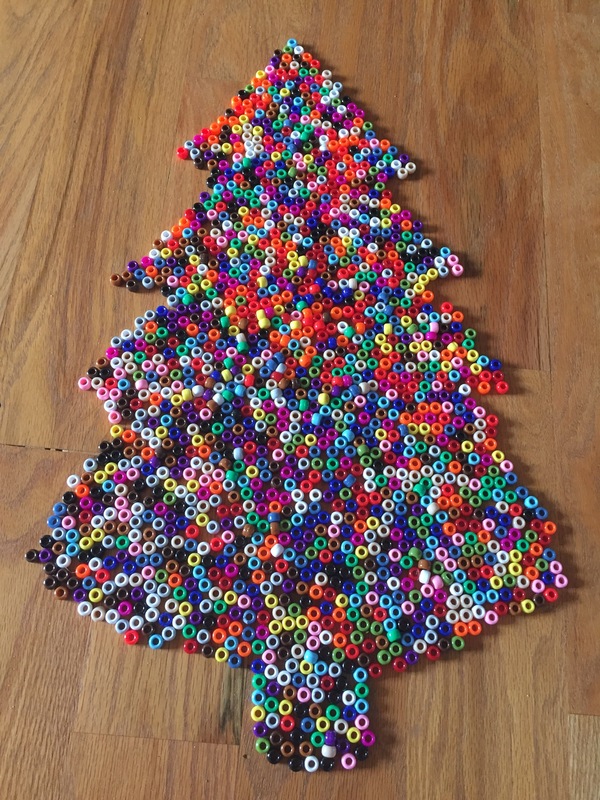 Two days ago Little Bit and I invented our own saying called: “Don’t cry over spilled beads.” Our box of approximately 500 pony beads took a downward tumble all over the dining room floor. It’s times like that when “don’t cry over spilled milk” really comes in handy. Spilling them was a total accident, so instead of seeing it as a huge mess, we saw it as an opportunity. Instead of getting upset, we played! 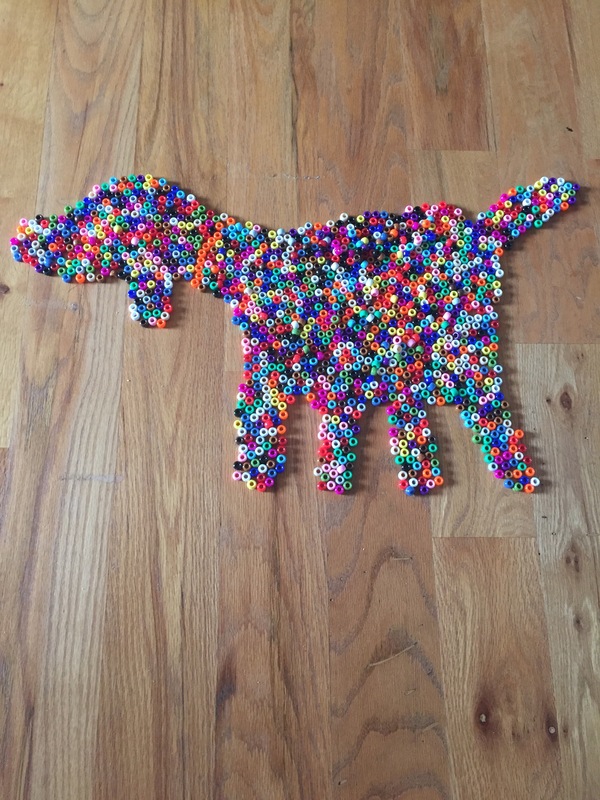 We tossed them like confetti, pretended they were little people, and we soaked up the freedom of those rainbow-y beads getting to be out of their color coded compartments. While I was sitting in the paradise of color, an idea dawned on me! Art! On the wood floor, the beads were super easy to move about. We spent the next half hour making pictures out of them. Choosing our shapes was so much fun. We ended up with a snowman, a Christmas tree, a dog, and a baby. Who knew that a total accident had the potential of filling our morning with smiles and laughter? Funny how life lessons appear when we aren’t even looking sometimes, this time they came in the beauty of spilled beads!